Here’s another of my lost projects. 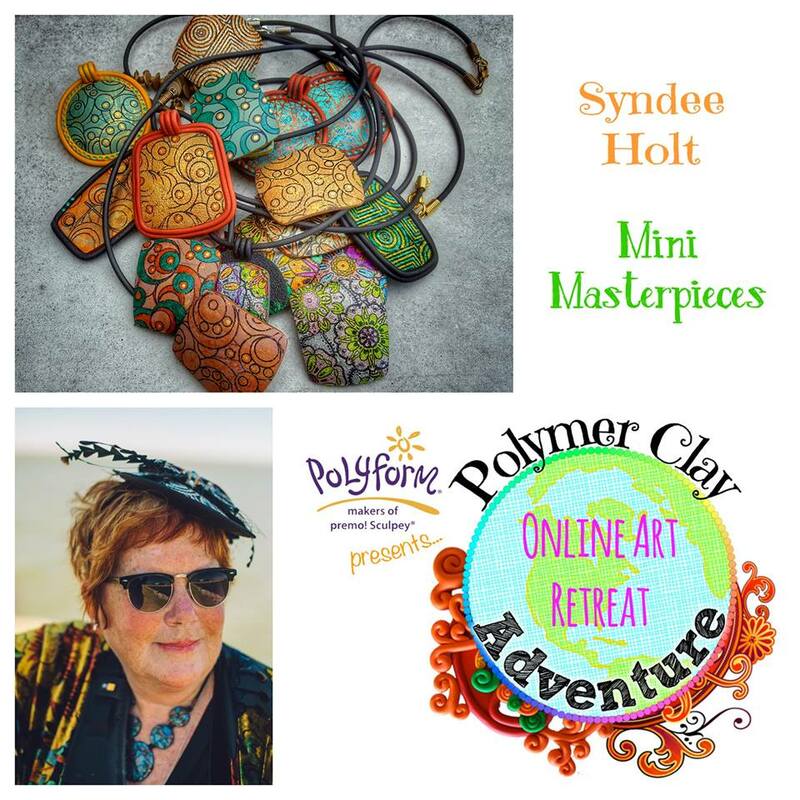 This one was inspired by Syndee Holt’s Mini Masterpieces class on Polymer Clay Adventure. 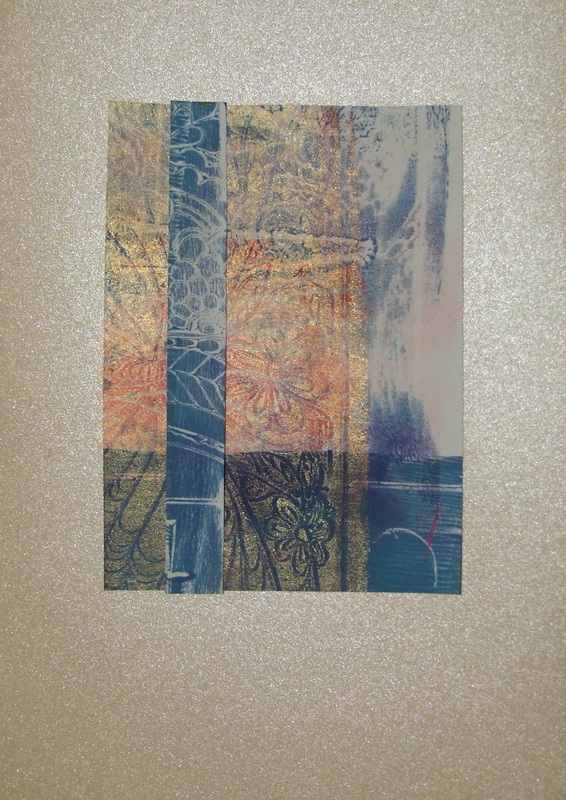 The project included several techniques including gelli printing and transfers. I didn’t make the exact projects, but I used some of the techniques separately. 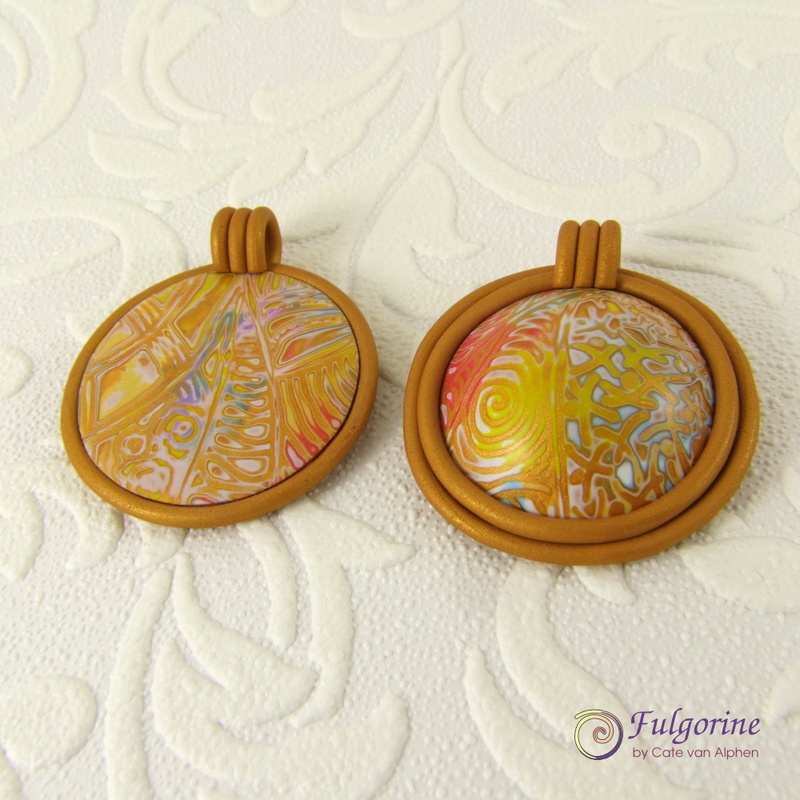 I really liked her bezels so, while I waited for my gelli plate to arrive, I created a couple of pendants using some polymer clay domes that I had already made from a mokume gane sheet. 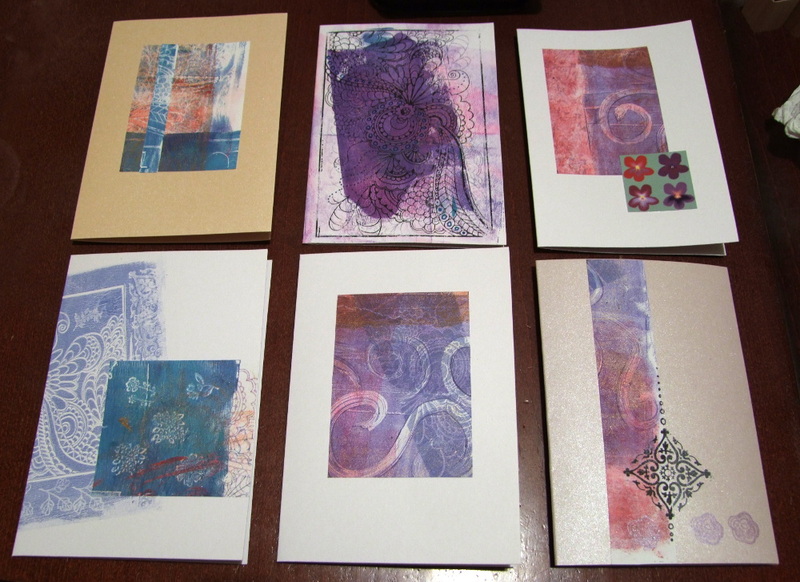 Once my gelli plate arrived, I spent a morning mono printing onto paper to make into greetings cards. Unfortunately the photos are not great. I just had time to take a few snaps before quickly hiding my paints as it was time to fetch the children from school (it’s extraordinarily stressful when they get hold of paint). These photos don’t really convey the layers of colour and shimmer from the metallic paint and pearlescent paper that I used. I’ve since taken the cards to sell at Craftworkshop, so I can’t take better pictures. They were loads of fun to do, so I’m sure I’ll do more soon. 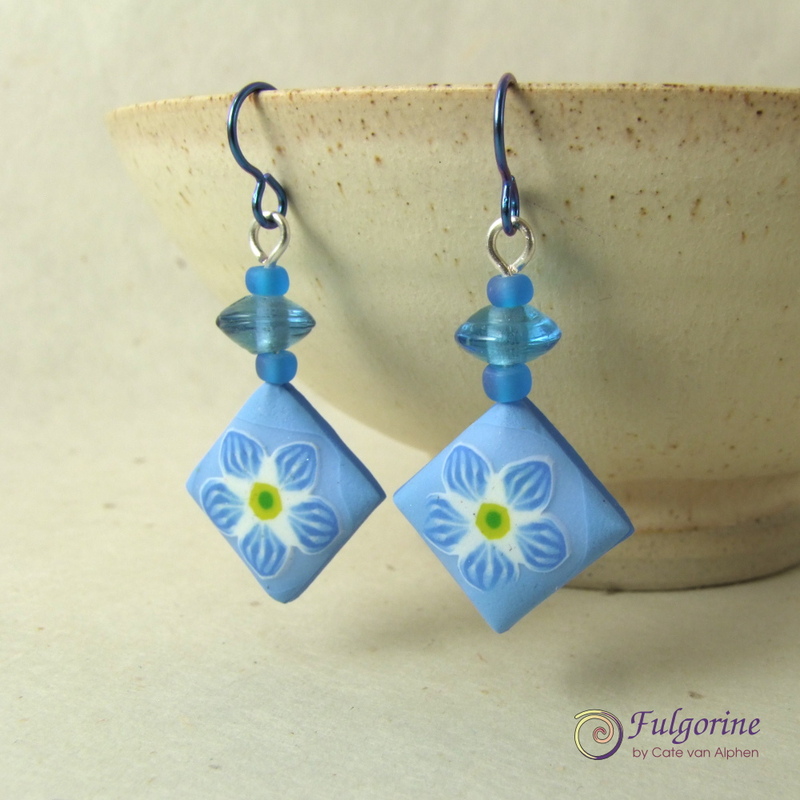 I wrote about forget-me-not jewellery that I made earlier this year. 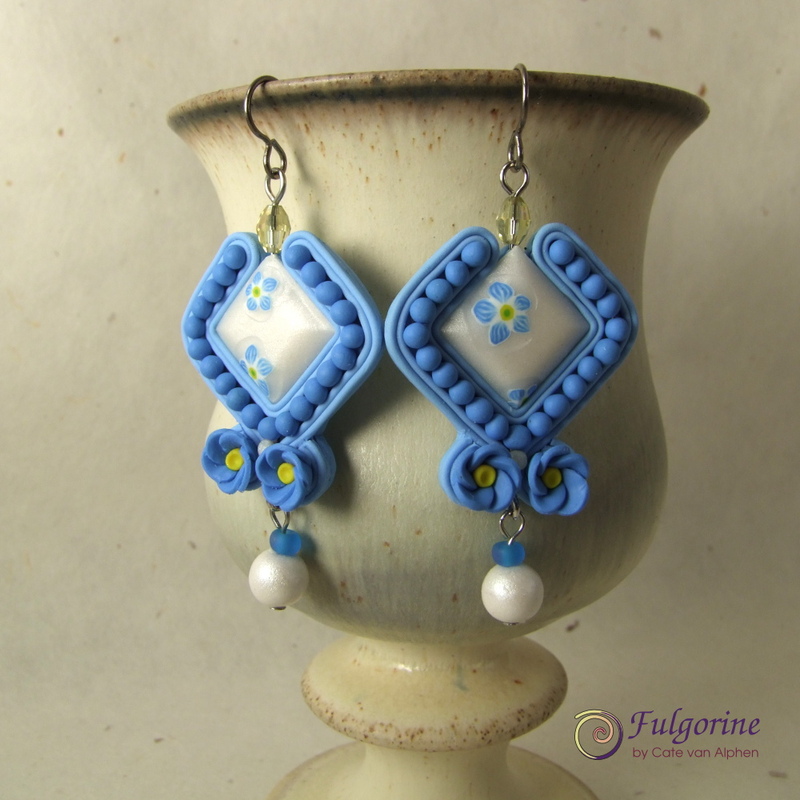 I made another pair of faux soutache earrings which I have included in my charity auction for the British Red Cross. The Red Cross is assisting people affected by terrible incidents like the Manchester bombings and the fire at Grenfell Tower, so I thought the name (forget-me-not) was appropriate. 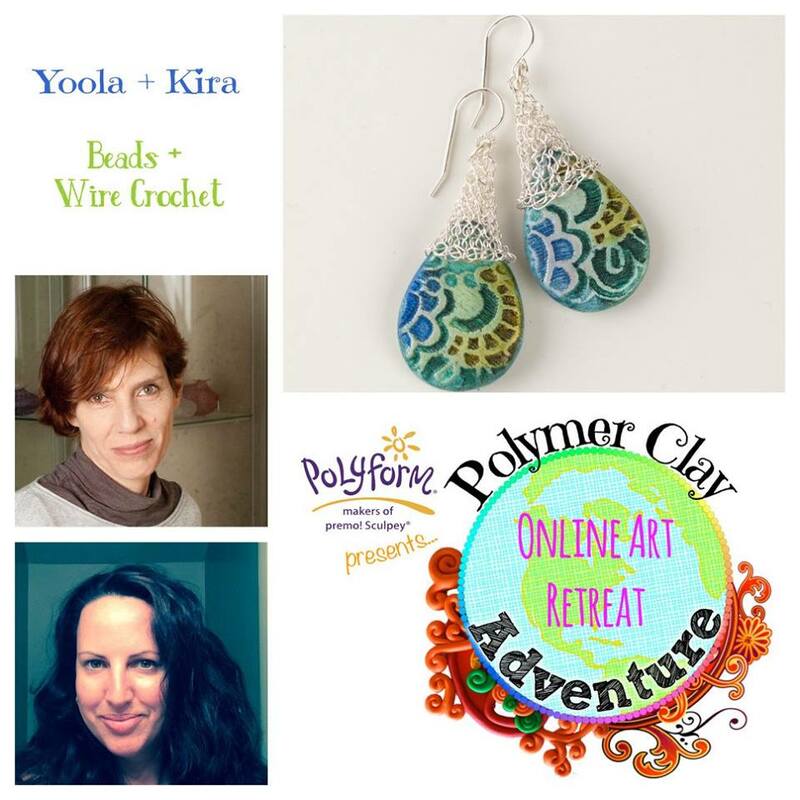 I’ve also included the stunning blue pendant I made as part of the Polymer Clay Adventure virtual retreat. It’s here because the colours matched. The auction ends this Sunday, 9th July 2017. I’d love it if you joined in with some bids. 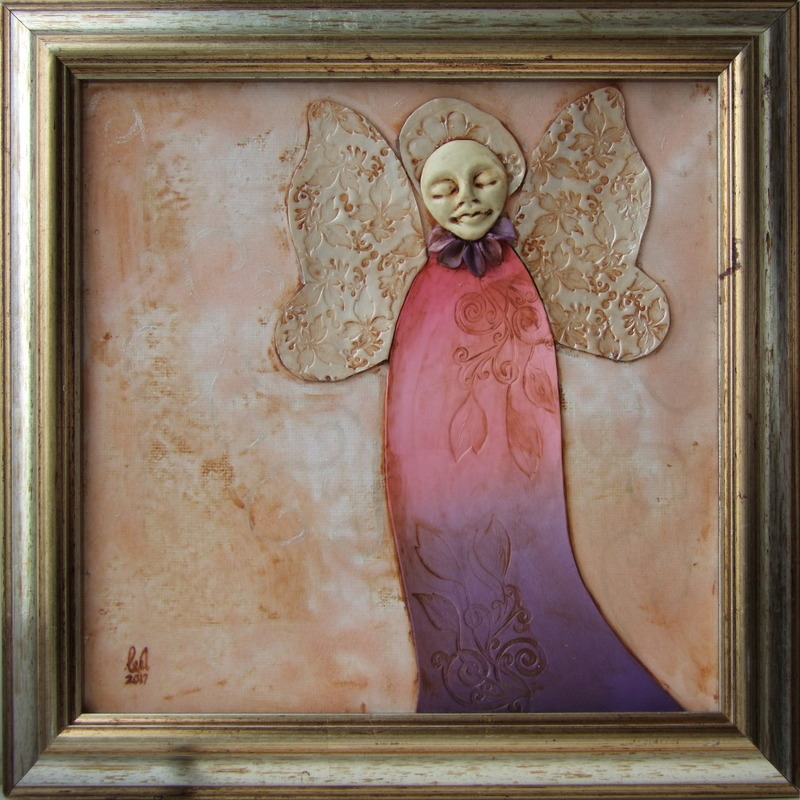 After deciding to do a charity auction for the British Red Cross, I knew I wanted to include an angel painting. She is made from polymer clay on canvas. 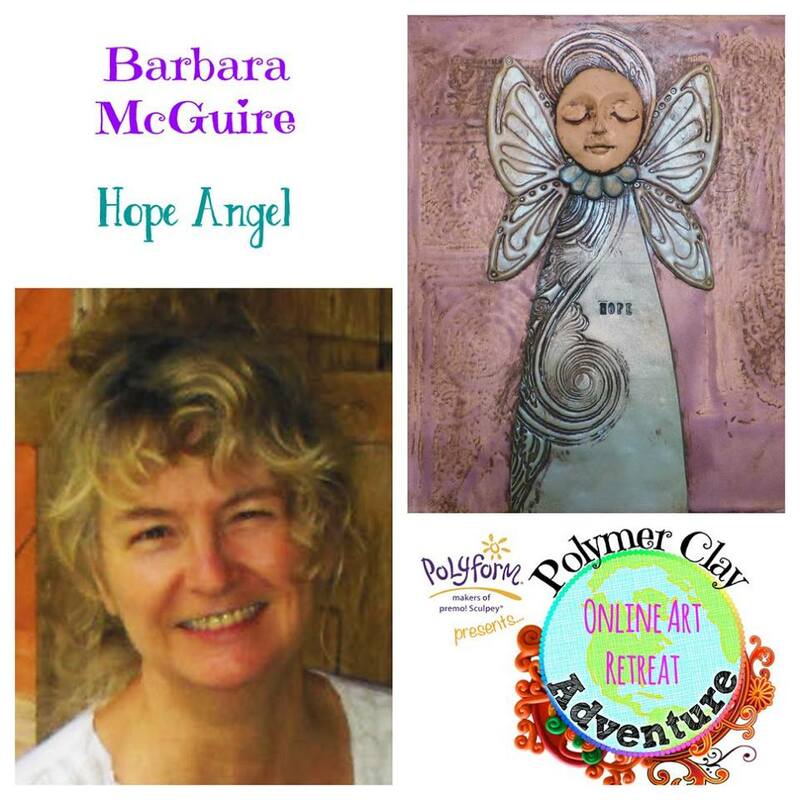 The angel is based on Barbara McQuire’s class on Polymer Clay Adventure. Barbara included the word “Hope” in her image, but as I was thinking of the unfolding layers of horror emerging from the Grenfell Tower fire I had no words. So she is the Angel of the Blank Canvas. I can only hope that the survivors are able to heal the holes in their lives and make space to start over. Still she is not completely alone. I’ve added some swirls to the surrounding space which when seen in the right light are silver. This represents all the people who are working to help the victims and the generous donations that are flowing in. 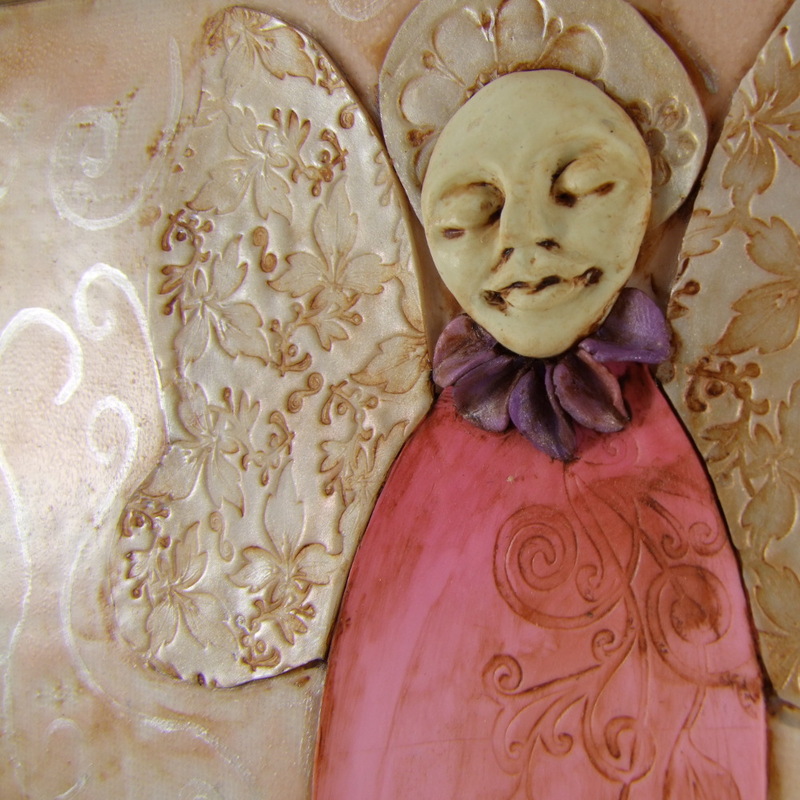 If you like my angel and would like to make a donation of your own, you have until 9th July 2017 09:50 BST to bid on her. 100% of the proceeds will go to the British Red Cross. Even if you don’t want to bid, you could really help by sharing the link – Thanks! It’s been a while since I last wrote a blog. I have been making things, but I have also been doing some rearranging (my time, my room and my photography), so it hasn’t filtered through to the blog yet. 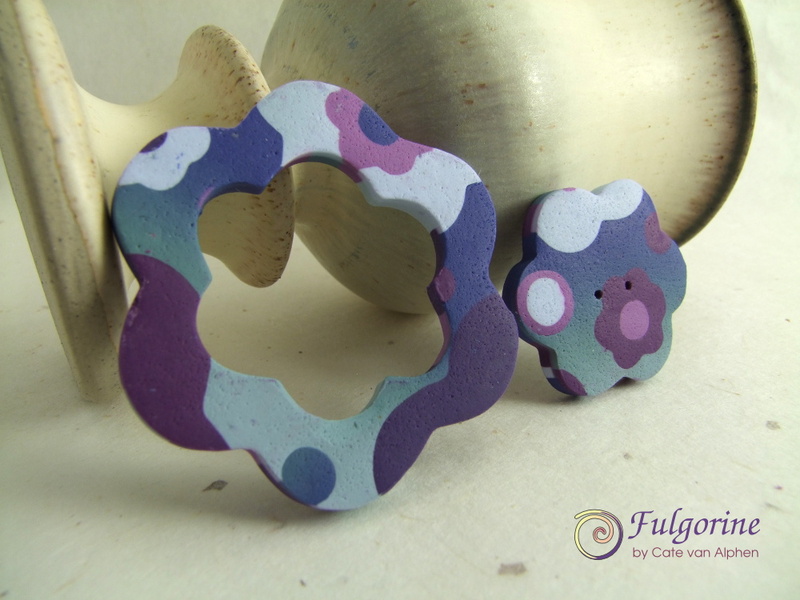 The Art Fair went well, so I have been making more jewellery featuring my Spectrum Palettes. Here’s a pendant I made in my Blue colours. 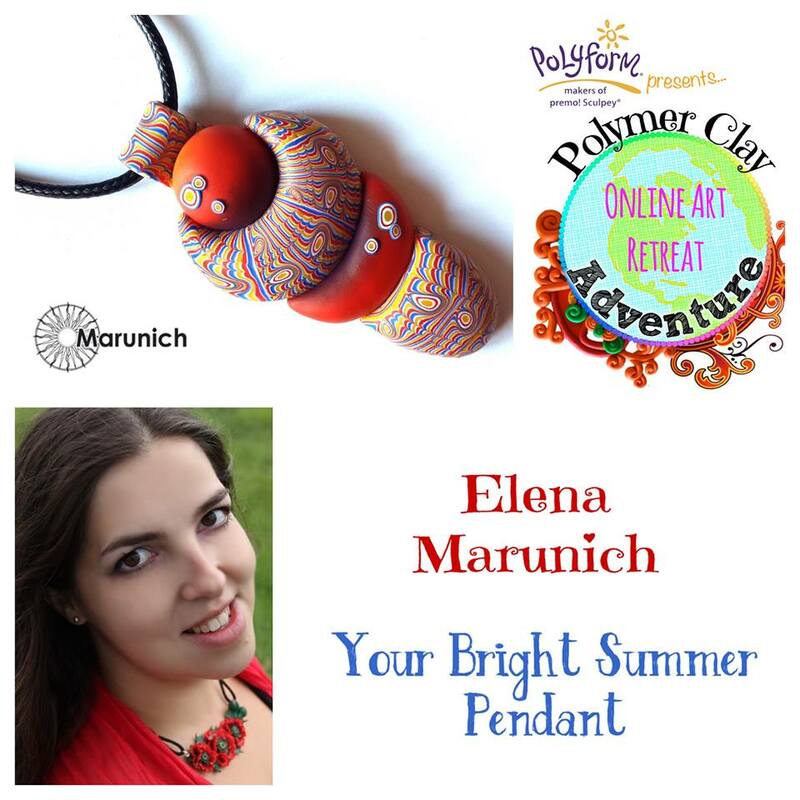 The design is from a tutorial on the 2017 Polymer Clay Adventure by Elena Marunich. It’s pretty big so it’s quite a statement piece. I have been experimenting with different backgrounds in my photos (trying both more texture and pure white product shots). You can see more examples of my experiments on my Patreon post. 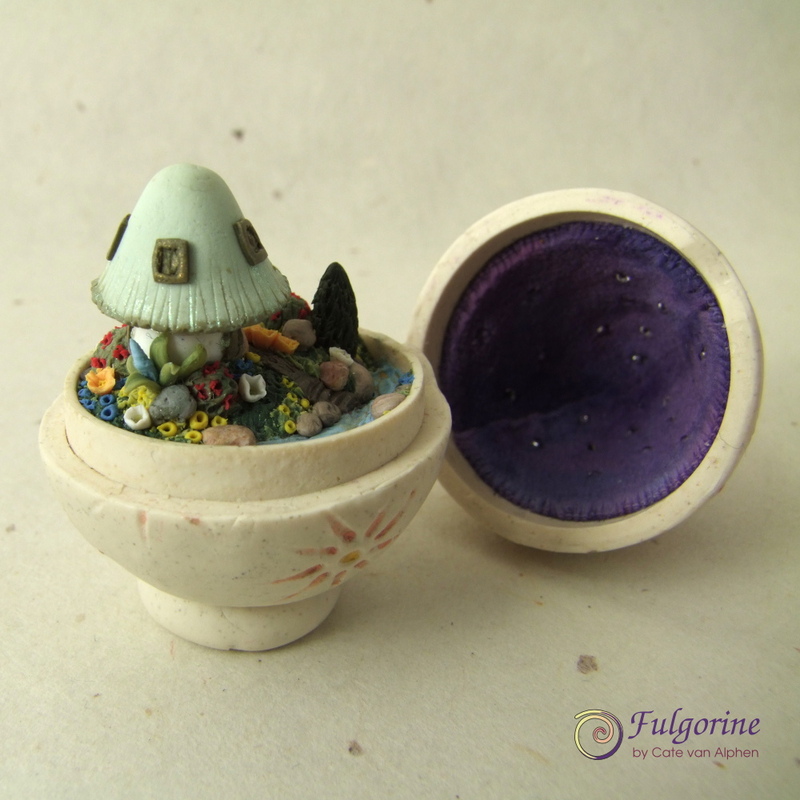 Every year I try to make some (or one) polymer clay easter eggs. I started this one on Good Friday and I finished on Easter Monday. 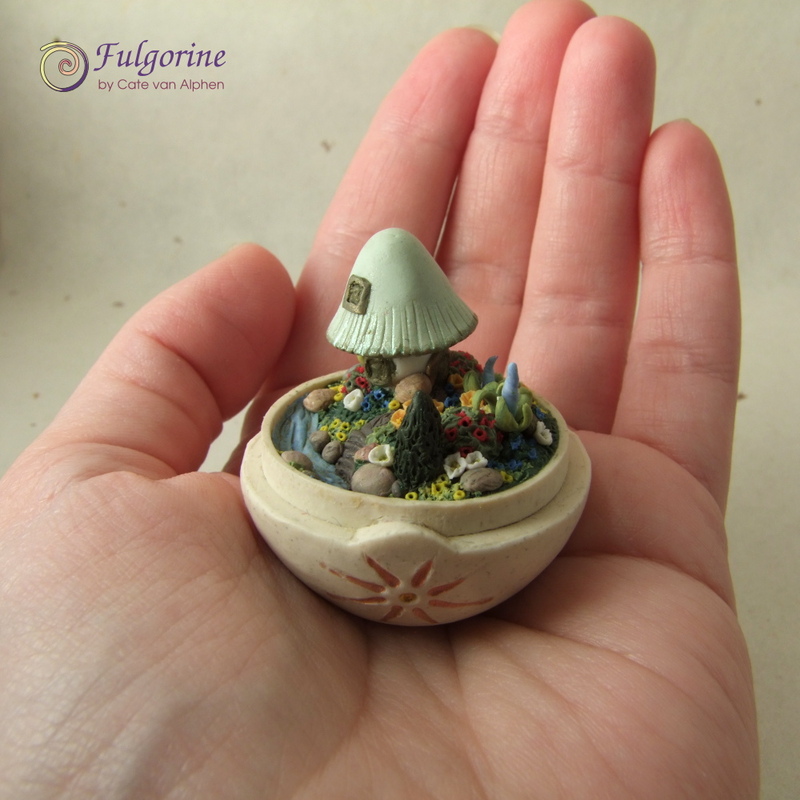 …tiny Fairy Garden. 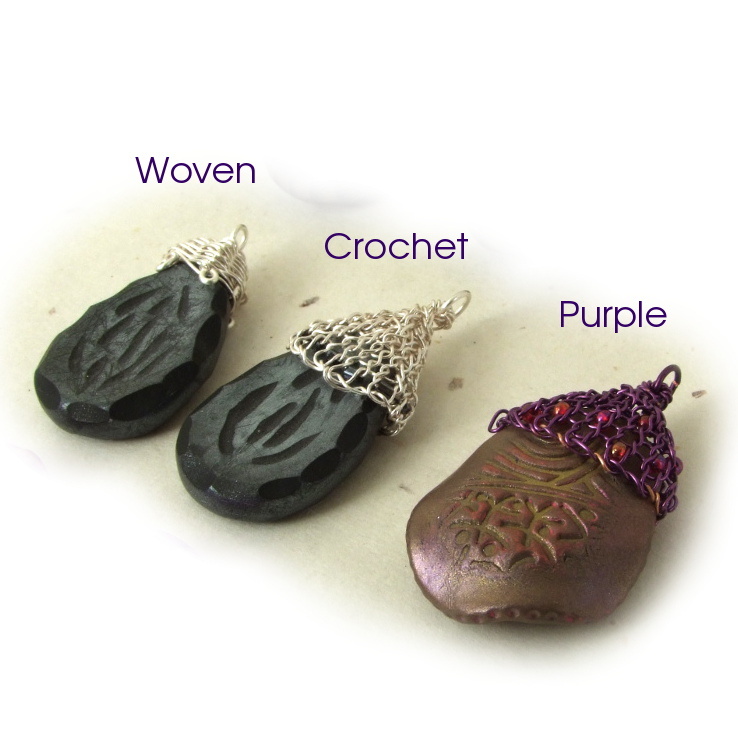 The lid is lined with purple velvet and studded with little silver beads to look like the night sky. Irritatingly I had to do this twice because the first time the velvet was too thick and the lid wouldn’t close. Luckily I found out before the glue had fully dried. 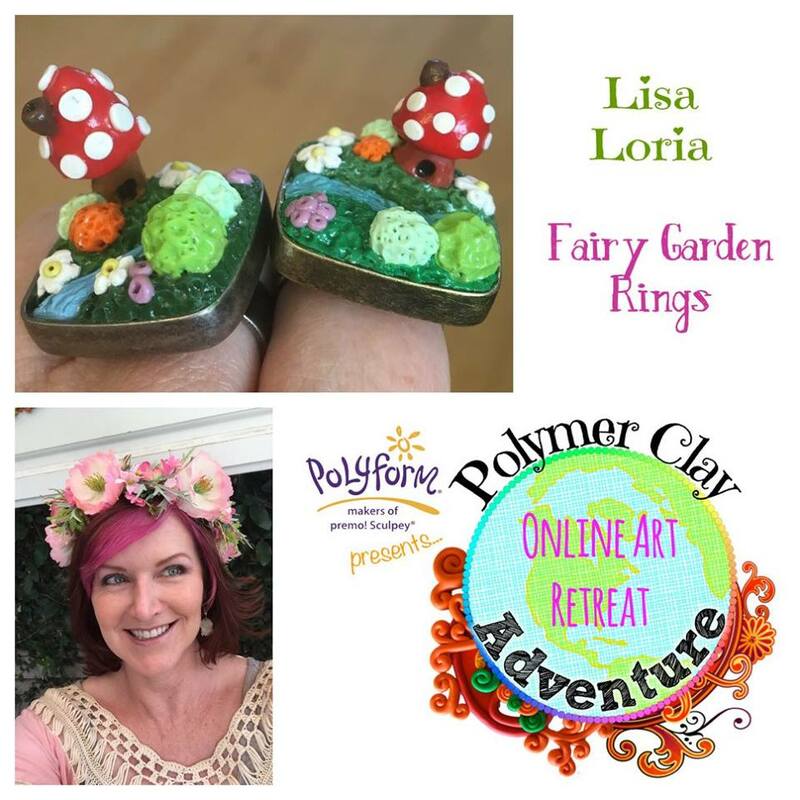 The idea was inspired by Lisa Loria’s Fairy Garden Ring tutorial on Polymer Clay Adventure. As you can see I got pretty carried away with the detail. Here’s a picture to give some scale. The whole egg is about the size of a hen’s egg. 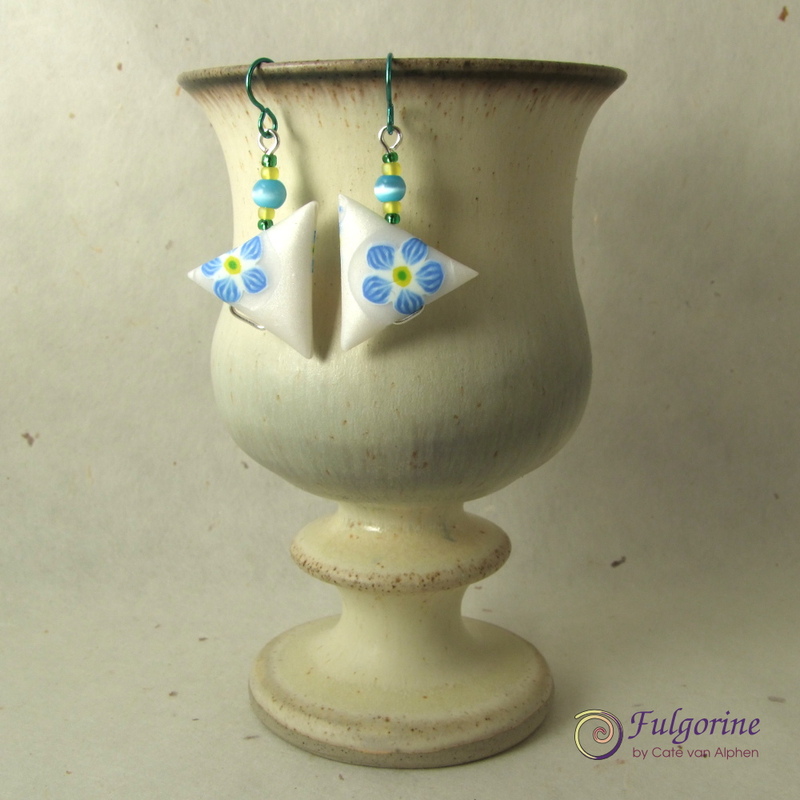 I remembered to make some forget-me-not jewellery for the window display at Craftworkshop. 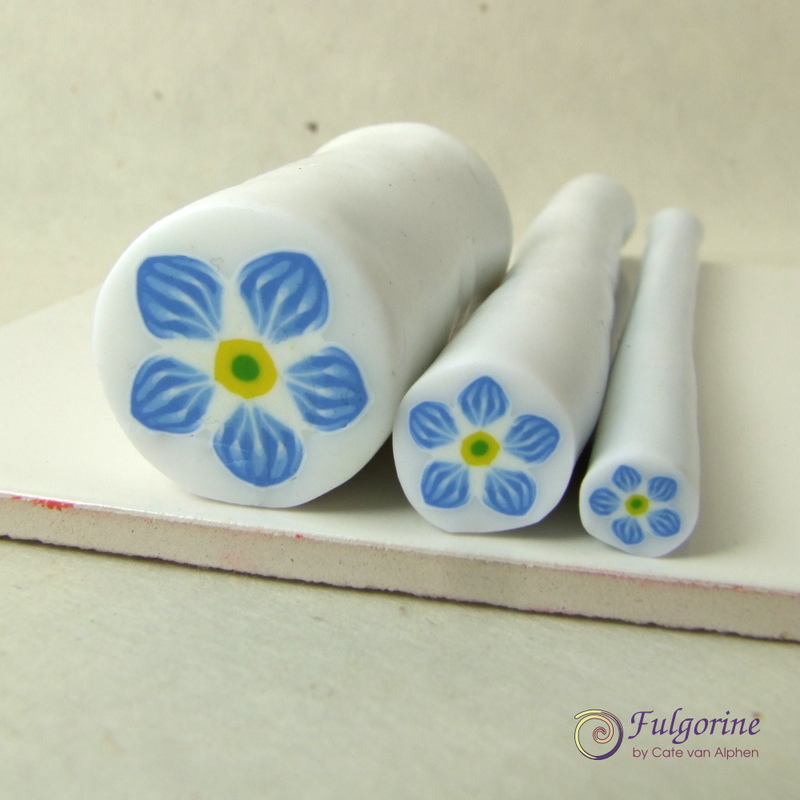 I made a flower cane inspired by Ivy Niles’s class on Polymer Clay Adventure. 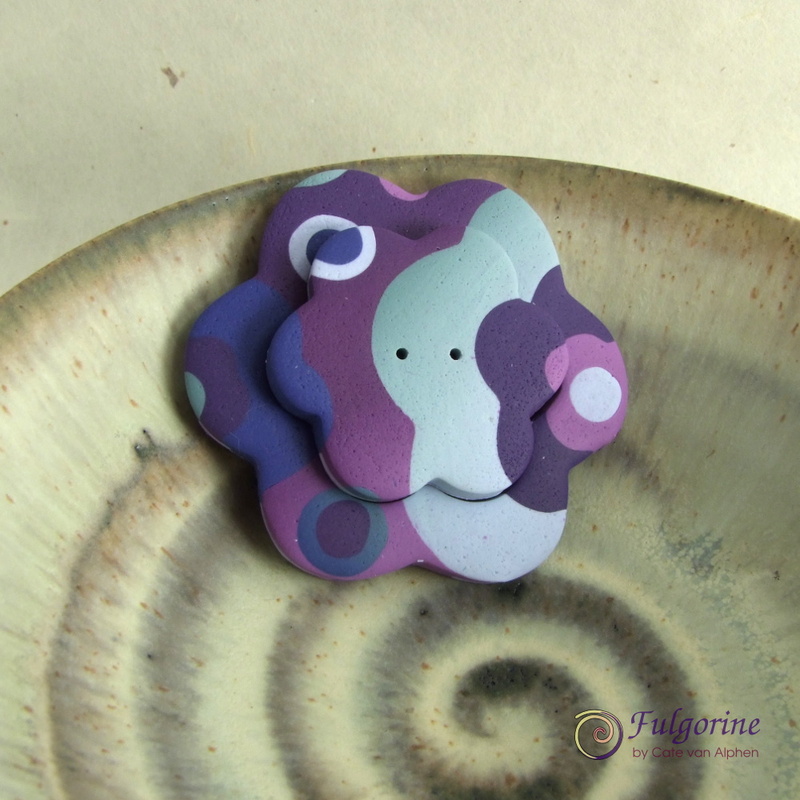 I made the background using transparent clay so that I could add the flowers to different coloured backgrounds. 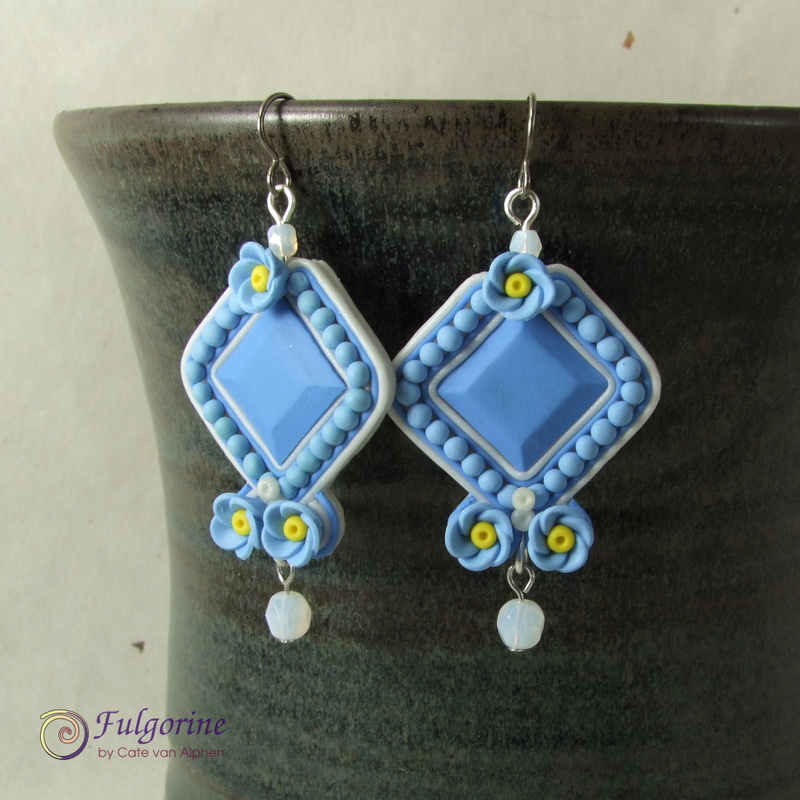 It worked pretty well on the plain blue polymer clay. However it did cause a mica shift effect on pearl clay which is more visible from certain angles. It was a bit unexpected but I don’t think it’s necessarily bad as it gives the flowers a little halo. 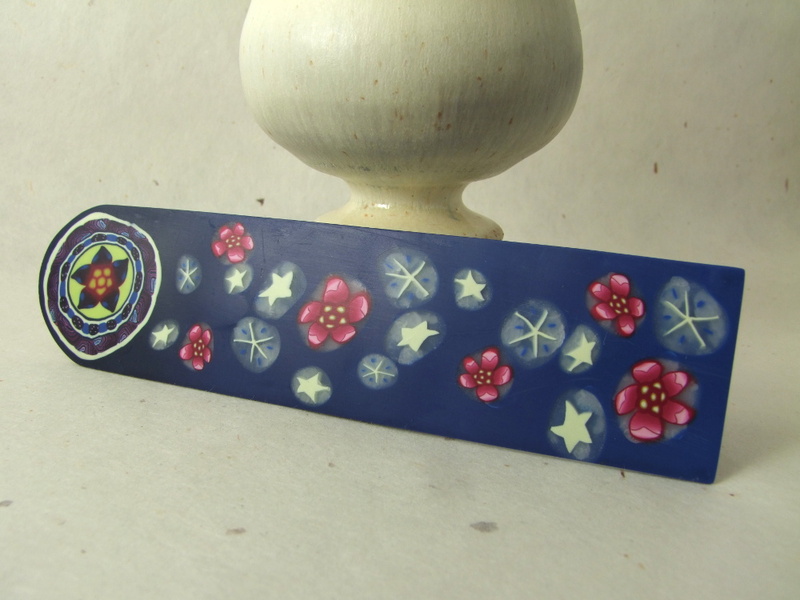 This bookmark was one of the first things I made back in 2009 and I’ve been avoiding translucent clay ever since! Putting aside the confused design of flowers and stars together, there’s a long list of things I did wrong here. I cut my cane slices too thick and then squished the sheet through the pasta machine to try and flatten it, so everything got distorted. 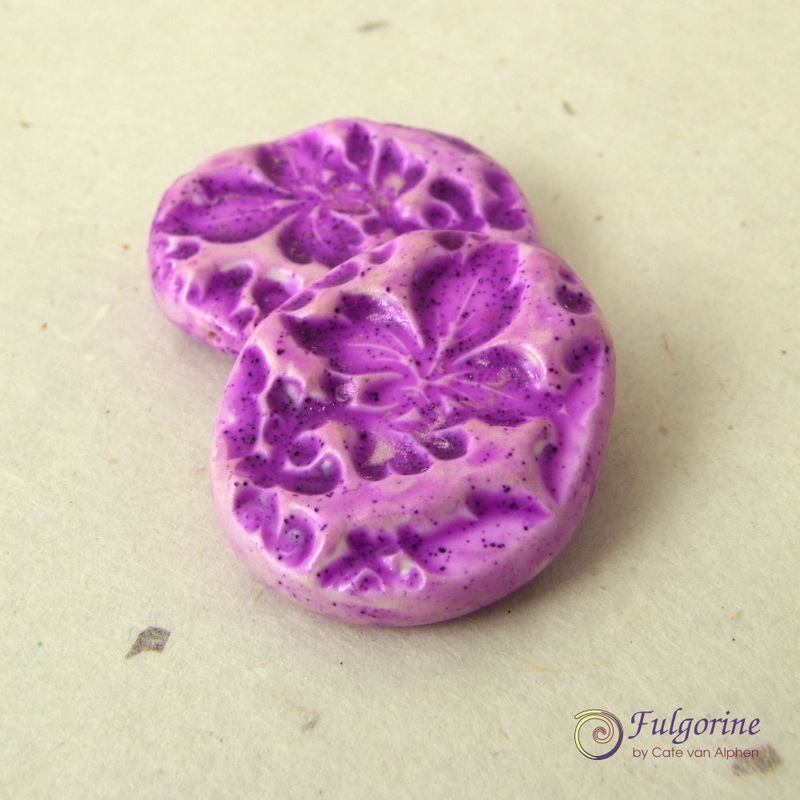 I don’t think the plaquing was entirely my fault (beyond the thick slices) but more to do with the fact that I used pre-formula-change Fimo. I used Pardo for my new forget-me-not cane. Anyway it’s quite encouraging to look back at old work and think: “Yuck, I can do better!”. 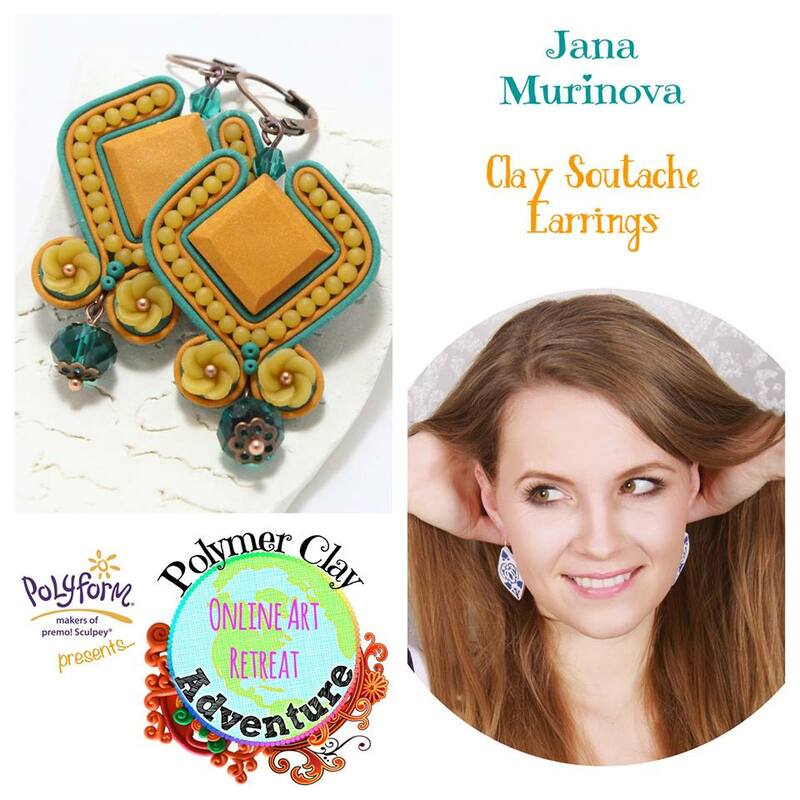 I also made a pair of faux soutache earrings inspired by Jana Murinova’s tutorial (again on Polymer Clay Adventure). 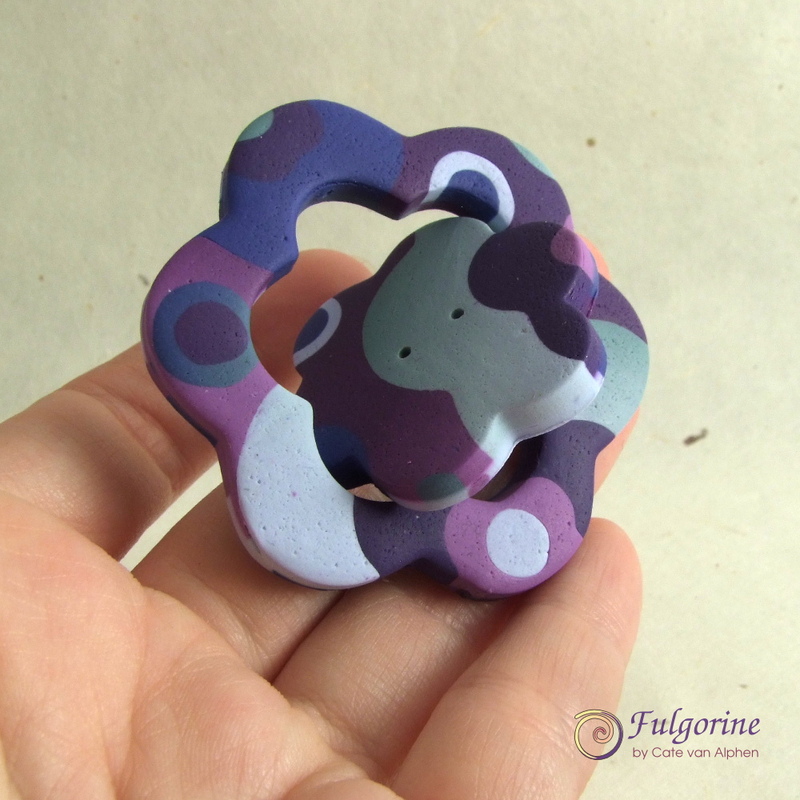 This week, for my Polymer Clay Challenge, I made a flower power toggle. I started with two different sheets of blended colour, and then I cut and replaced flower shapes to create a pattern. The flower shape means the button I created from the cut out fits through the hole easily as it is longer across the petal tips than between two petals. 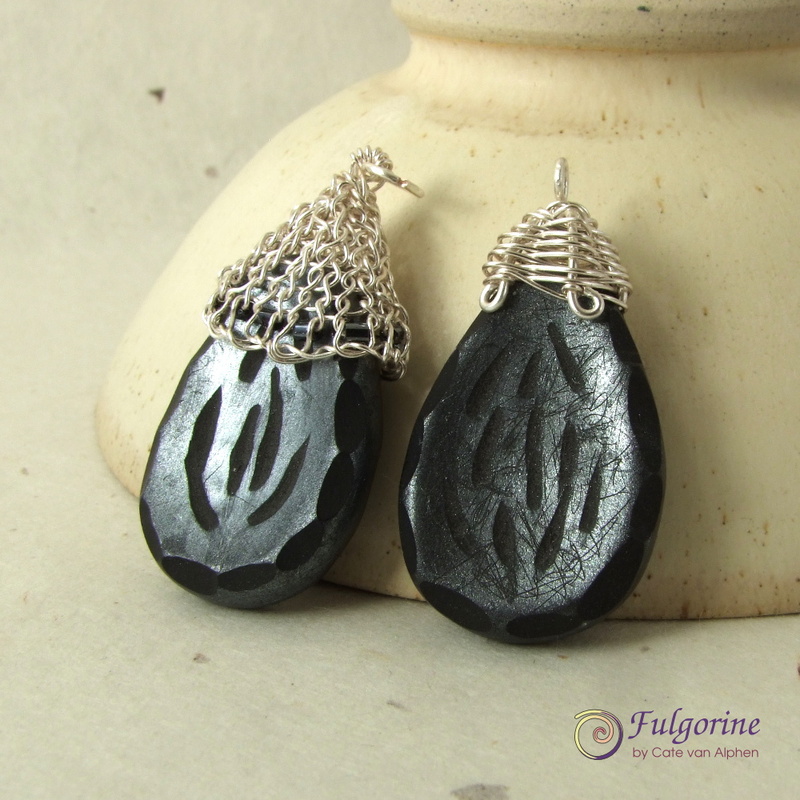 I noticed this when I made my indigo mokme gane pendants back in week 31. I’m still planning on adding an edging to finish off the components. I drilled a hole through the thickness of the loop so it could be attached discretely with a seed bead anchor. Or the hole could be used to secure a wrapped attachment so it doesn’t slide away sideways. 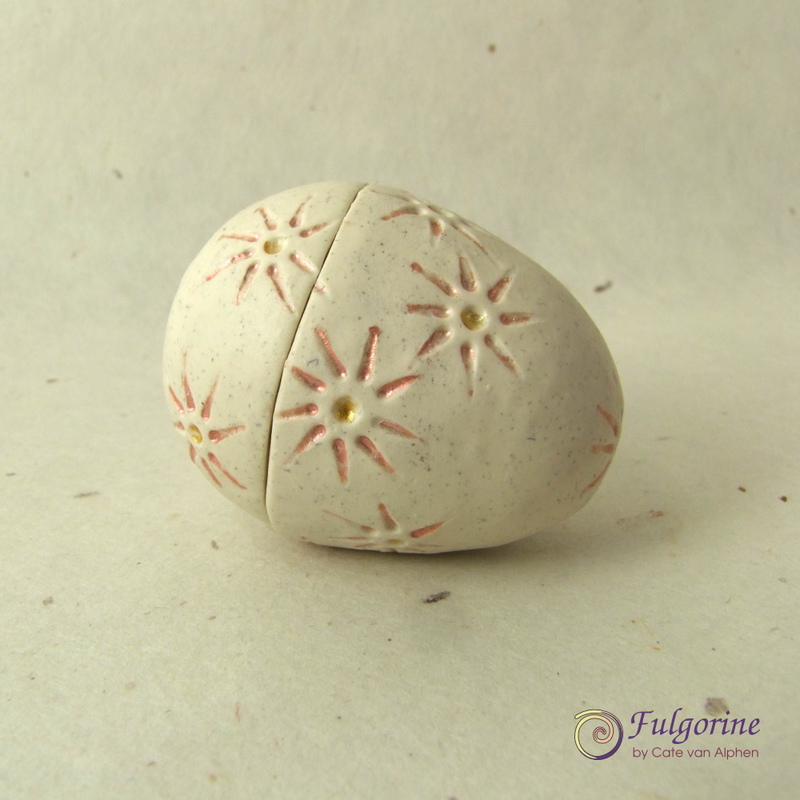 There is a different pattern on the other side created from the second blend of clay. 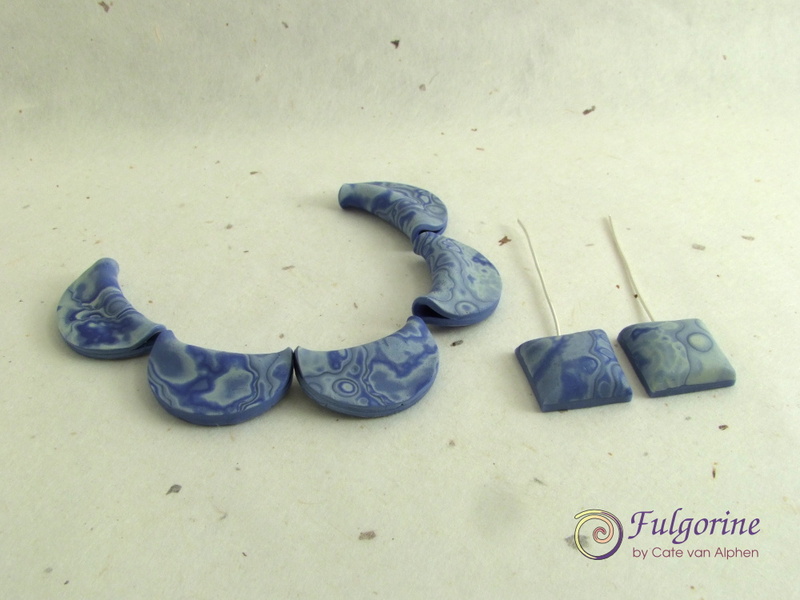 I’ve had to settle for a work in progress this week of my Polymer Clay Challenge. I was supposed to be making a focal using my new violet colour palette, but I got a bit waylaid. Every time I start a new colour palette, I think I should make a cane that I can use throughout the weeks that follow, but I’ve never managed to do it. After watching Cat Therien’s frangipani cane tutorial on the Virtual Retreat, I was REALLY itchy to make a flower cane. I decided to start by mixing up decent quantities of polymer clay, since it’s really annoying to run out of a colour part way through a cane. Then I realised my work board was pretty clogged up with sheets of veneer from previous palettes and other scraps of clay. So I decided to use up some of the left overs. 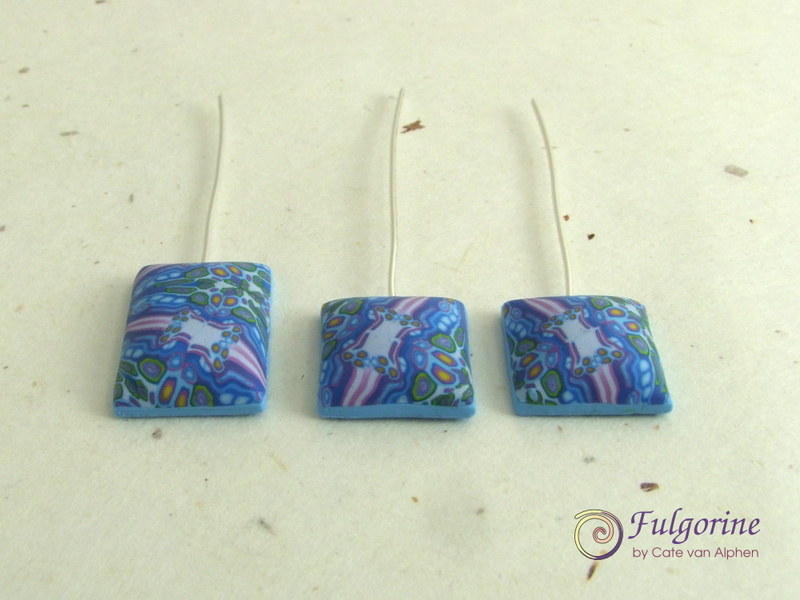 I made fold beads, and pillowed headpins. There are still some pieces of green kaleidoscope veneer that I haven’t used yet, and I want to do some sanding to finish them off. Finally I started to measure out my colours and when I got to the last one, magenta, I discovered that I didn’t have a lot of it left. This was a bit of a problem since all the colours in the palette use it (yes even the grey green)! 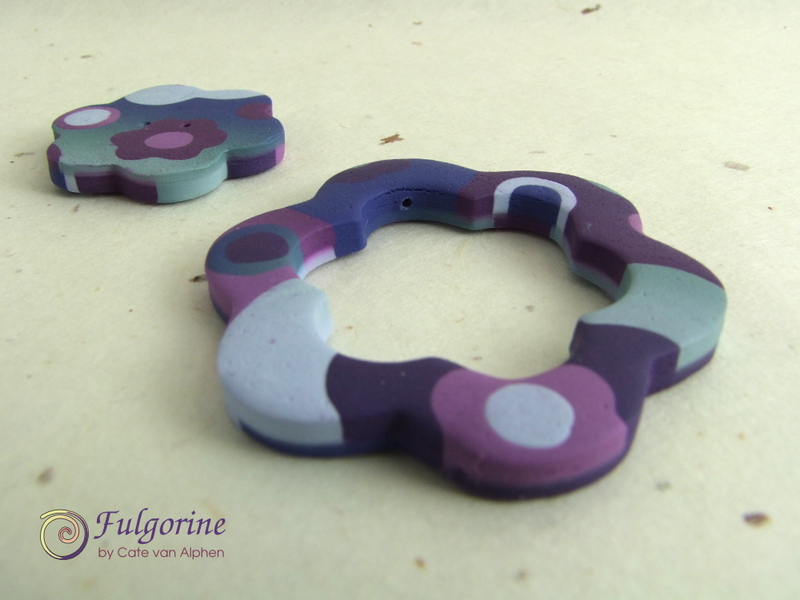 I had to start the colour measuring all over again to make smaller quantities (I decided to keep the larger quantities I had already measured aside to finish when my new magenta polymer clay arrives). In the end, I managed to mix a little of each colour, but by this point I only had time to make two petals for my flower cane. 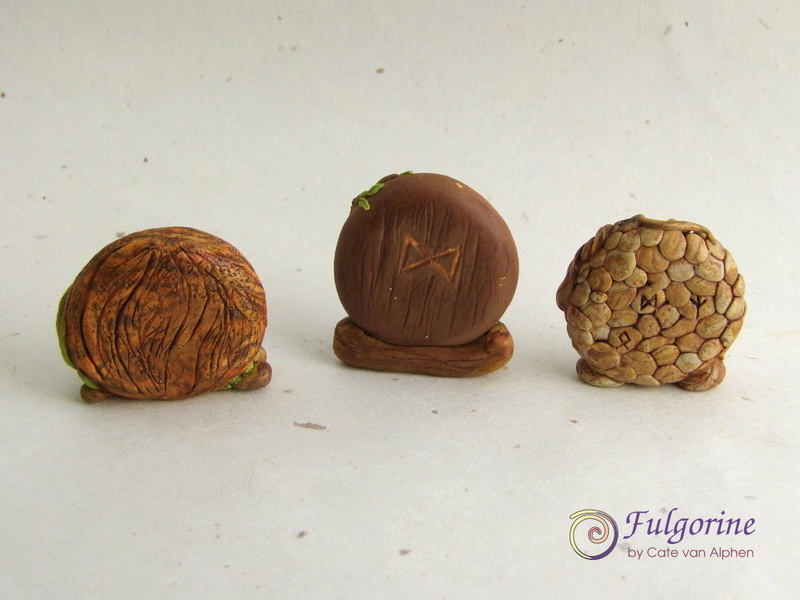 So although I have made some things with polymer clay this week, my official target is still a WIP. 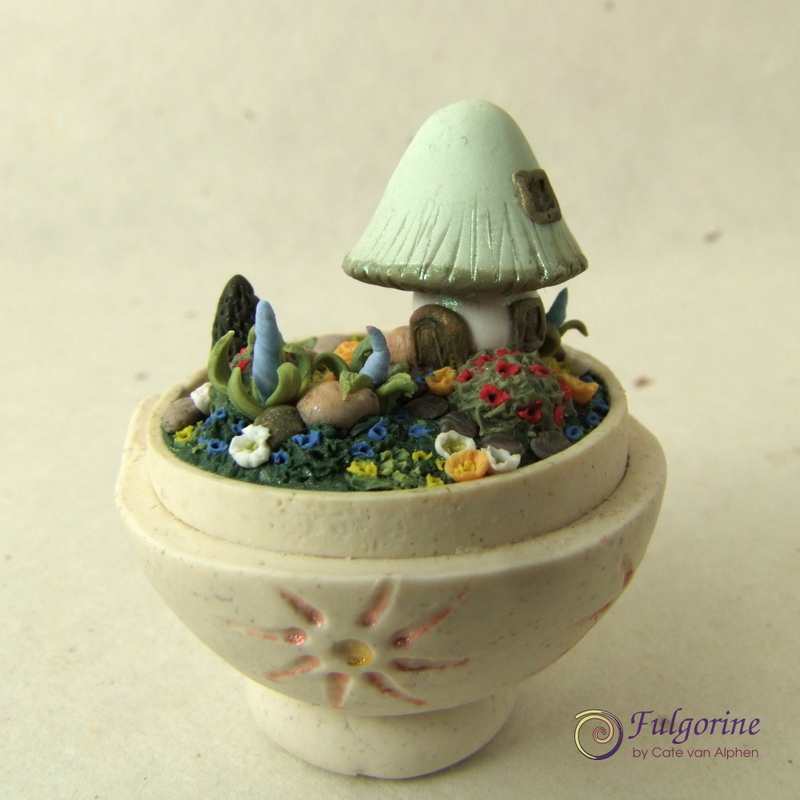 I made these fairy doors back in February for the Virtual Retreat swap. I wanted to give them some time to reach their destinations before I showed them on my blog. Then I got distracted, and now it’s May! 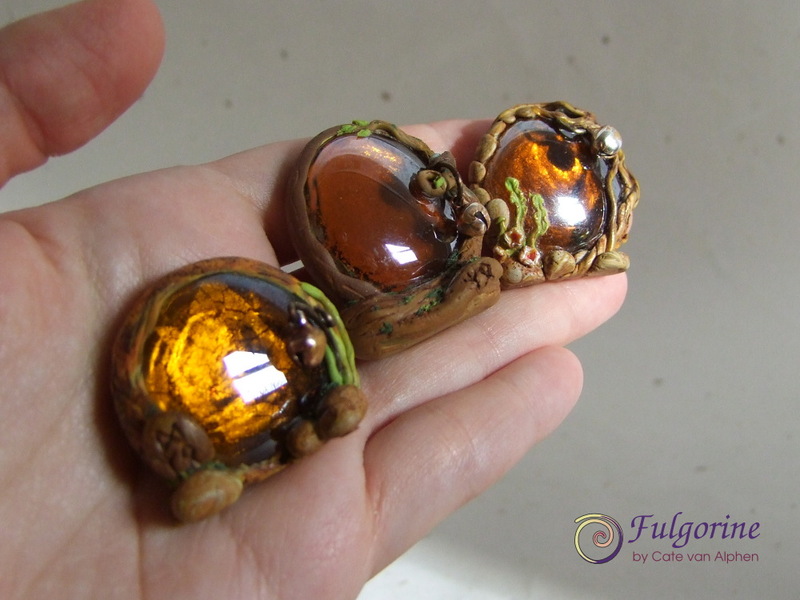 The doors feature a glass nugget as an inter-dimensional portal, a little bell to call the fairies, and protective runes so that only friendly fairies can come through. 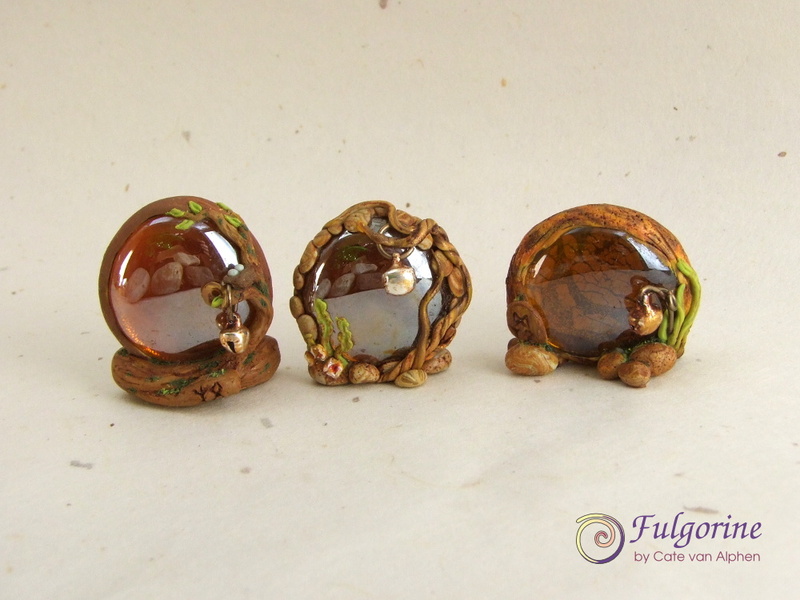 I surrounded the doors with natural things like wood, stones and plants made from polymer clay. I had to stop myself from endlessly adding bits of moss and flowers. I experimented with different reflective surfaces behind the glass. I tried foil, glitter and silver acrylic paint. They each resulted in different effects each with their own appeal.